College is the best time of your life; it's exciting, messy, stressful and just a wonderfully unique experience. But to make it through in one piece, there are a few things you won't be able to live without. Here are 7 things that are completely necessary to survive college. Students would honestly have about fifty euro less every week if it wasn't for this shining beacon of hope. A sly 70cl of Rachmaninoff vodka will do you for at least three big nights out. (If you're 'taking it handy.') Your weekly shop is a happy experience, filled with exclaims of "that's only 2 euro?" and "sure, I'll treat myself." All in all, it's a great shop. Thank you Germany. There's honestly nothing better than being at pre-drinks and hearing "Toxic - Britney Spears" start to blare. Current hits are solid enough, but you know the night is getting good when those throwback tunes come on. Nothing gets you dancing on the kitchen table like "Crazy In Love." You know that you're ready to go to the club when everyone thinks they're Beyonce. "Hi Mom. How are you? Haven't got paid yet don't know whats going on. :( Would you be able to send me like 20 euro until Friday and I'll give it back then?" "Hey sister! Please don't tell Mom but I spent all my money in the Black Friday sales last week, could you send me like 50 euro and you don't have to buy me anything for Christmas?" "Hey gal! So sorry to be asking but I'm pretty strapped for cash at the moment. I'm just wondering if I could get that 20 euro you borrowed off me last year? BTW how was last night? xo"
4. 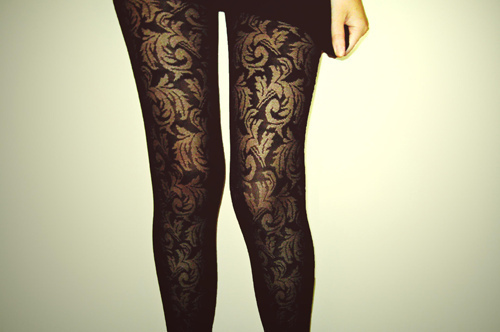 Tights and Cocoa Brown. We all know the struggle. Three o'clock in the day: "Nope, I'm definitely not going out tonight. Way too much to do. Have fun though." Then nine o'clock rolls around: "Wait everyone's going? Could you get me drink on your way home? I'll just hop in the shower." Who has time for tanning the day before and washing it off in the morning like you're supposed to? That's usually just reserved for the debs and weddings. Thank you tights for covering up my pale pins, and thank you Melissa Carter for the gift of CB. From the cinema to Captain Americas; there's honestly nothing like getting money off something. Be it a bus ticket or a burger and chips, student discounts are usually more of an incentive to become a student than the degree at the end of it. Remember, whenever you're buying something, ask if they have discounts. They won't offer them to you, hunt those discounts down. Roommates are your extended family. They see you at your best, and they most definitely see you at your worst. Roommates save lives. When you're in your bed after a night out and you can't move, they will come in and feed you with Panadol and whatever filthy food you're craving. They are always up for a cheeky Dominos and a cheese-filled romcom starring Kate Hudson and Matthew McConaughey. Last but not least, roommate cuddles. You need someone to cuddle you when you return home from a long day at the library. 7. Coffee, cans, eggs and noodles. These four items make a student's life so much easier. Coffee wakes you up in the morning/afternoon. Cans of your drink of choice help you to unwind after a long day of sitting in the college bar. Eggs are just the best. They are essentials for your breakfast, lunch, dinner, late night snack, very late night snack and your 4am feast. Noodles need no explanation. They take under five minutes to make, and are extremely satisfying. The less time you spend making dinner, the more time you have for Netflix and stuffing your face with chocolate. There's no downfall with noodles.